Zuma - then deputy president - was linked to the deal through Schabir Shaikh, his former financial adviser who was jailed for corruption. 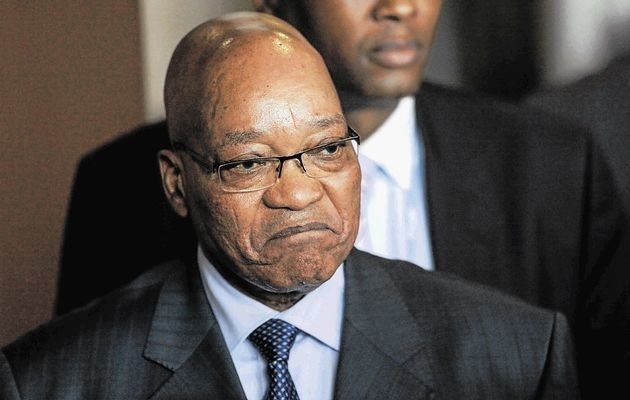 This Friday, embattled former South African President, Jacob Zuma will know his fate as the court will decide whether to reinstate corruption charges against him or not. Zuma was forced by his ruling African National Congress, ANC party to resign last month. Zuma faces 783 counts of corruption relating to a 30 billion-rand ($2.5 billion) government arms deal in the late 1990s. They were filed but then dropped by the National Prosecuting Authority, NPA shortly before Zuma ran for president in 2009. Shaikh’s conviction almost cost Zuma his bid for president but the charges against him were dropped on a technicality in 2009. He became president shortly afterwards, but his opponents fought a lengthy legal battle to have them reinstated. South Africa’s High Court reinstated the charges in 2016 and the Supreme Court upheld that decision last year, rejecting an appeal by Zuma and describing the NPA’s initial decision to set aside the charges as “irrational”.